Vichy plaid which prevailed in 50s/60s is a combination of two colors, most are red against white ground, back on white or blue on white. 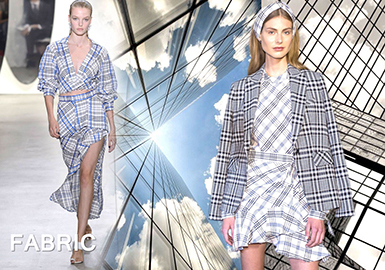 Many brands apply Vichy plaids to reflect a French style for pre-fall 18. 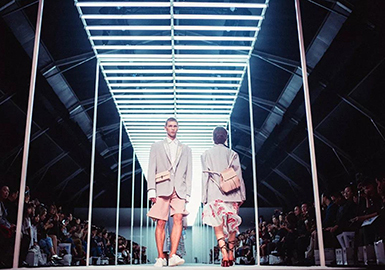 The English designer Christopher Raeburn creates menswear, womenswear and accessories in a distinctive and novel way. He graduated from the renowned Royal College of Art in London. Christopher is famous for recycling military fabrics, bringing signature outerwear made of old parachutes. Recreated style directs and influences his design and development. 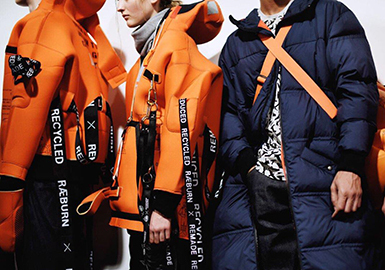 Christopher Raeburn's collections are unique, detailed, functional and sustainable. In pre-fall 2018, knits focus on comfort and new surface textures. Geometries and irregular textures create different visual effects. Flocked sheers and plain-color knits are key for the resort season thanks to their tactility and techniques. An analysis of crafts of 2018 Pre-fall womenswear from the aspects of cutting, decoration and patterns. The techniques of previous seasons continue in this season, shirring, knotting and ruffles are emphases. The collections of pre-fall 2018 have released. 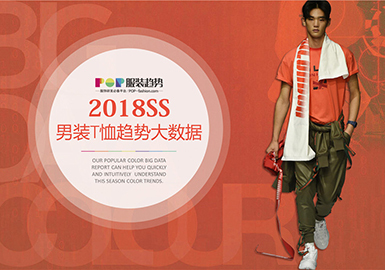 This report gives a simple analysis from five aspects, providing design direction for key fashion colors, silhouettes, details, stitches and yarns. 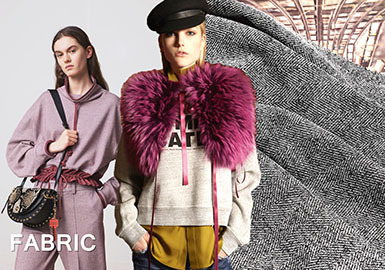 Urban style and athleisure style are emphases in this season according to the 2018 Pre-fall catwalk. Color blue and purple also take a high ratio apart from a few neutral colors. 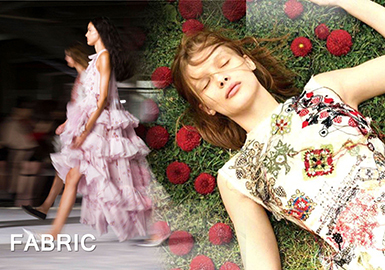 Openwork floral embroidered lace, colorful flowers and attractive sheers create a fairytale effect on kidswear. 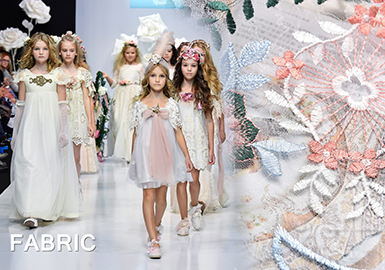 Different crafts team with multiple materials and styles, reflecting the unique charm of laces for kidswear. 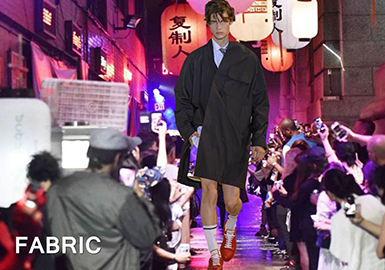 Held in Shibuya, the 2018 S/S Tokyo Fashion Week is themed with "The joy of Creation", bringing together outdoor fashion brands such as wande and Wisdom, as well as Moto Guo and Mrhua Mrshua which feature youthful and quirky style. klein Blue and Mysterious Purple are favorites of local designers ,they also bring innovative design in this season. Striped and checked shirts are prevalent on catwalks and fashion brands in pre-fall 2018. 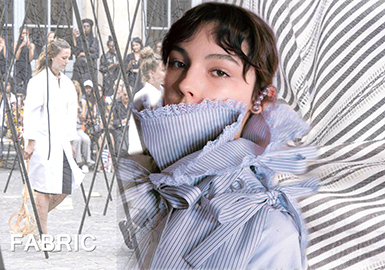 From naval blue and white, bold red and white to the most classic black and white, striped shirting team with neat and oversized silhouettes, highlighting the fashion taste of urban women. 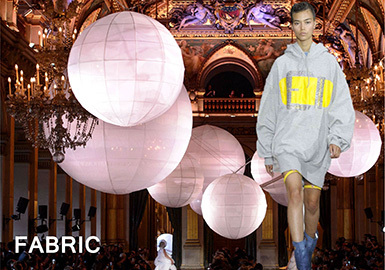 With the on-trend sporty theme, the knitted fabric is still important in catwalk 2018 S/S. In addition to the common knitted T-shirt fabric, the mercerized fabric and cotton& linen fabric are favored by designers. Seeing ordinary piquet fabric evolve more textured. The after-treatment highlights the sense of detail. Street style has become very popular with young people, the baseball jacket pairs with oversized T- shirt creating a stylish street style. 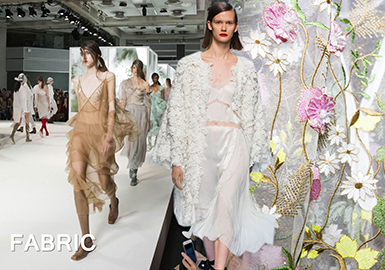 Lace fabric emerges as an essential in this season. Designers play with the hollow-out embroidered lace, 3D floral lace and transparent lace, creating novelty and refreshing looks and show the glamour of this fabric. As an activewear, outdoor jacket is essential for men, made through functional materials and special techniques. 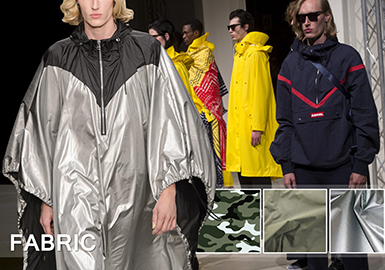 Spotted on S/S 2018 men's catwalks, this outdoor sportswear become a fashion item. Materials are more diverse, in addition to functional synthetic fabrics, cottons and metallic coated fabrics also emerge. Outdoor jackets are preferred by celebrities and fashionistas for the oversized silhouette and novel materials. Creativity is synonymous with individuality. 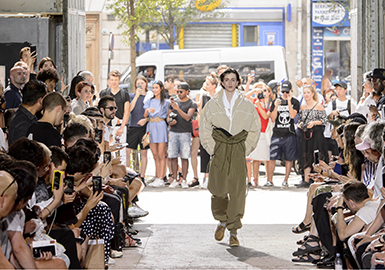 The power of identity and an optimistic mindset charges clothing development throughout catwalks , as designers look back to nostalgic references in order to create the future. The knitted fabric begins to shirk its sport-only associations and is widely applied to many fashion brands. 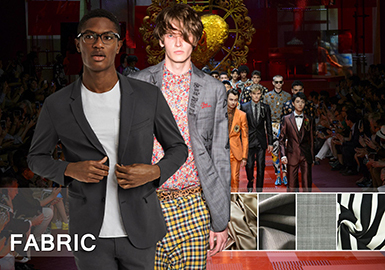 Sports elements are incorporated into men's business suit. 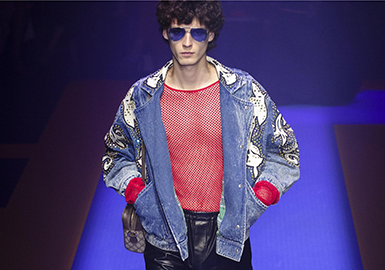 Designers take inspiration from the 1980s and 1990s references and reinvigorate the classic fabrics. Directional elements are prominent on women's catwalks in S/S 2018. 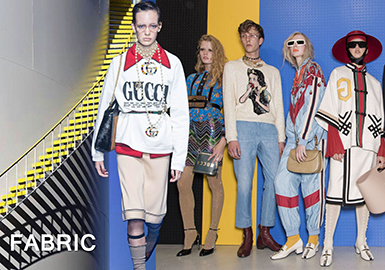 Whether knitted coats, printed T-shirts or sweatshirts, sports style sweeps the fashion world. Check fabric is still essential for women's dress, with romantic and aesthetic shape accentuating femininity and elegance. Trench coats prevail in spring and summer, and they infiltrate the catwalks. Whether an English, French or American style, the romantic gentleman look meets the needs of all men. 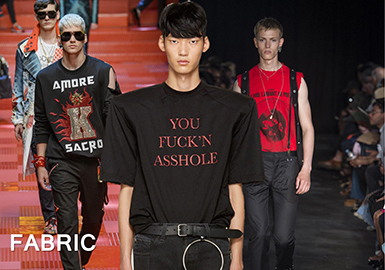 Oversized tees are hot in recent years, and the retro dad T-shirt evolves to be a fashion item. Color floods prints this season, lifting our spirits in turbulent times and oozing optimism for S/S 18. It's all about flowers: less so tropical varieties, more pretty garden posies that recall the neglected charm of yesteryear interiors for a warm sense of nostalgia.